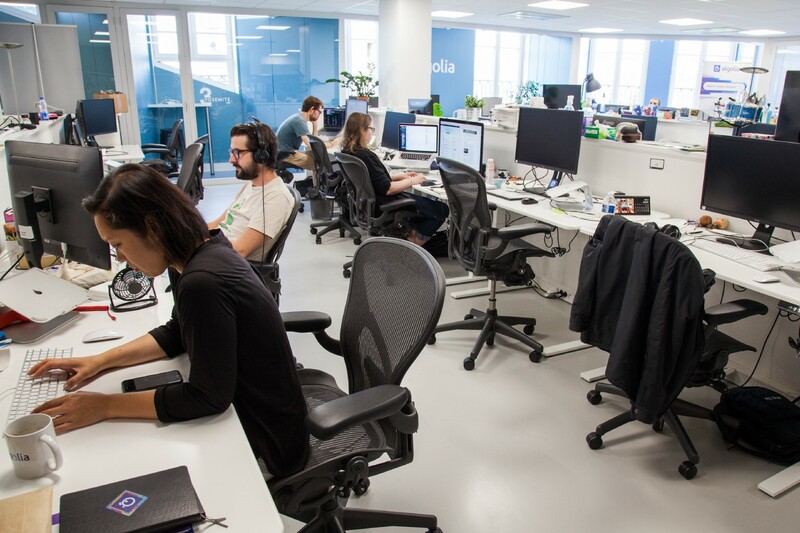 Algolia strives to display its value in everyday interactions, not just on its office walls. Company values: more often than not, they’re introduced on a slide deck during onboarding, but fail to be woven into life on the ground. Having documented the big ideas and daily habits of 50+ growing teams, we’ve seen how values becoming instinctive can mean the difference between success and struggle. So we were excited to dig into one of Algolia’s values: candor. 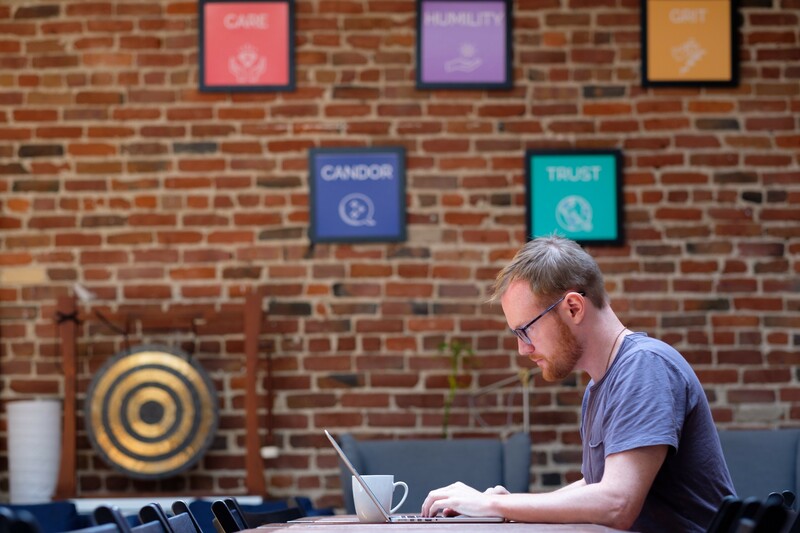 By discussing the benefits and challenges of being candid, tips for putting it into practice, and the impact of cultural differences between their Paris and San Francisco offices, they hope to help other companies implement candor as a practice. And since you need another person to be candid with, we interviewed two pairs who trade feedback regularly — Nicolas Baissas (Solutions Architect) with Chris Wittman (Customer Success Manager) and Lucas Bonomi (Frontend Engineer) with Tim Carry (Developer Advocate). What does candor mean at Algolia? 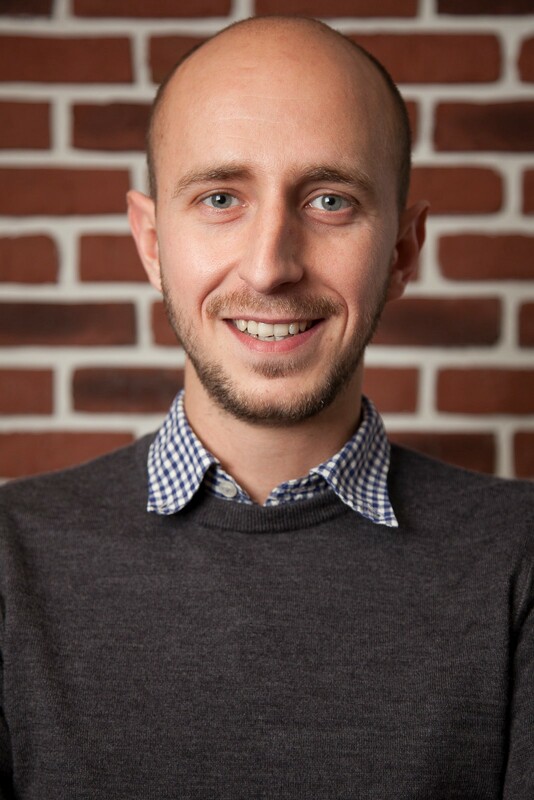 Chris: When I first joined Algolia and learned candor was one of our core values, I thought, “No problem.” I’ve always considered myself an honest person. In the months since, I’ve learned that honesty is just the first step. Candor means thinking deliberately about how feedback might affect not only the person receiving it, but also the long-term strategy that follows. We ask ourselves, “What’s the ultimate goal of giving this feedback? Am I sharing my opinion just to appease my own feelings, or to serve a greater company objective?” Being honest with yourself is an important part of being candid with others. Nicolas: It’s not about demanding your colleague make a change. It’s about offering diverse points of view that can push our work in a better direction. 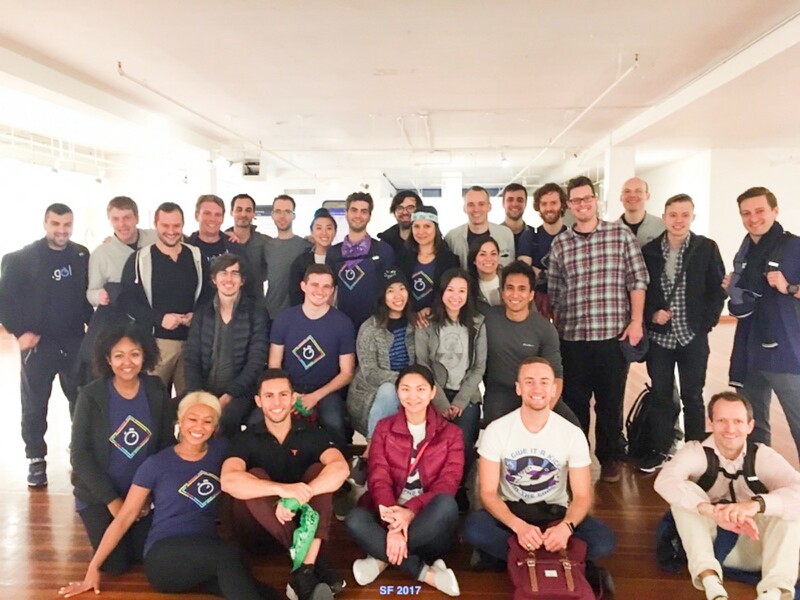 Candor requires a level of trust and comfort with each other, and everyone at Algolia does their part to encourage that. Fundamentally, it means helping each other improve, because we know that ultimately helps the company. Can you tell us about at time it was important for you to be candid with each other? Chris: A good example is how Nico and I discussed the responsibilities of our Customer Success team. I joined Algolia as our first customer success manager (CSM), and my role right off the bat was disruptive. As an example, I saw an opportunity for CSMs to take a lot of responsibility for customer communication, which was previously falling largely to our engineers. Nico, on the other hand, thought that engineers should be communicating technical details. We had to have several very candid conversations to find the best way to balance our ideas of how to best serve our customers. That wasn’t always easy, especially because there’s an ocean between us — literally. I’m based in San Francisco and Nico is in Paris. We actually found that the time difference helped us sometimes. Since it was often late for Nico when we talked, we couldn’t just push through difficult conversations, we often had to take a break. That gave us time to pause, reflect, and come back to the conversation with a fresh perspective. Nicolas: I think the trick to our calls ultimately succeeding, and to candor in general, is that our conversations aren’t about individual feelings. They’re focused on solving a problem. And when we do find a solution, we’re not thinking about who gets credit for which idea. We celebrate it as a collaborative success and move forward. Chris: Right, and every one of those successes gives us new insights on how to work together. For instance, I sometimes come to Nico with a lot of urgency. When a customer has a problem, I want to address that immediately. But from Nico’s perspective, it’s not an easy, one-line solution. To do his job well, he needs time to be thorough. So we’ve figured out a compromise — I give him a heads-up as early as possible, and he lets me give the customer at least the beginnings of the solution, with the understanding that a more robust technical answer is still to come. 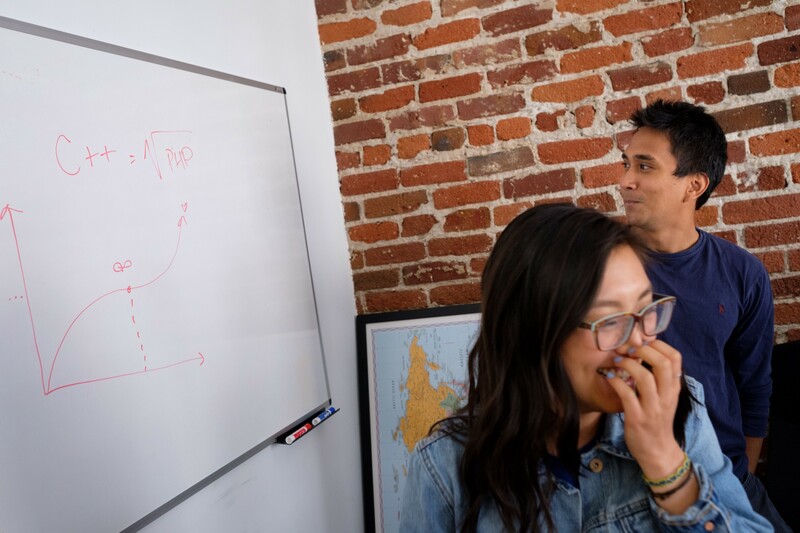 Kyle and Sandy in the SF office: Far from being a canvas for scary interviews, whiteboards at Algolia are an endless source of technical mischief and laughter. Are there things you do to encourage each other to be candid? Chris: Being at a company where I believe in the product so completely has actually pushed me to be more candid than I would have been comfortable with earlier in my career. Before I joined Algolia, I think I was more uncomfortable with conflict, so I would kind of side-step difficult conversations. Now I see how that I was prioritizing my own comfort over the success of my team in some ways. At Algolia, I’m so invested in the company’s success, I’m motivated to work toward long-term solutions rather than short-term fixes — even if that requires me to get comfortable with challenging conversations. How do leaders and colleagues model candor? Nicolas: Before leadership makes a big decision, they encourage feedback from every member of the team — and they listen to it. All of our opinions are valued, even the opinion of an employee who just arrived this week. Not all of that input will be incorporated, of course. But I’ve seen things implemented that have come from every corner of the company. Chris: The way we use Slack also speaks to our level of candor. We have several channels where people share ideas and have open discussions about various projects. When I first joined Algolia, I remember thinking, “Is this the right forum? This seems like it should be a one-on-one conversation.” But when I started to see the effects of that openness — it’s contagious. You learn so much about Algolia’s business, and when you see how other people approach delicate conversations, you get better at having them yourself. 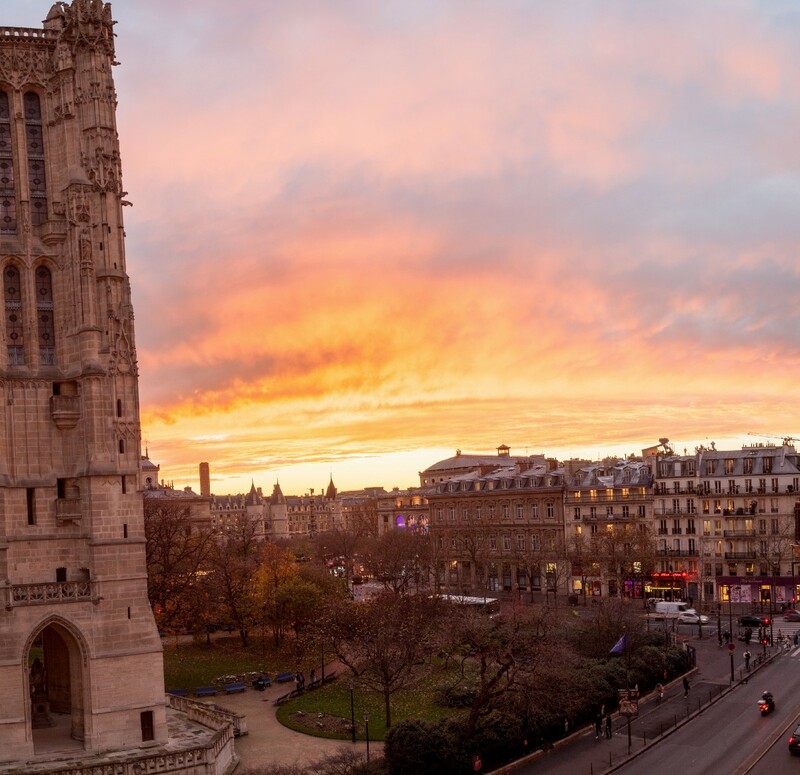 The view (left) from Algolia’s Paris office (right). Tell us about a piece of feedback you’ve given or received, and how it’s helped you. Chris: About a month in, I gave a presentation on customer success, to share my experience and try to define our goals. I got a lot of positive response, which was encouraging. But that presentation was also the root of some of those challenging discussions between Nico and me, about when and how our teams should hand off customers. So both the positive and negative feedback was useful. Just as much as my own ideas, my colleagues’ ideas have helped shape my role. Nicolas: I honestly feel like feedback helps me 20 times a day. Being candid and unafraid of imperfection gives us the freedom to learn from our mistakes. And that’s not just within the team — we might release a project to small user groups when we’re only 10 percent in, because we know the feedback could help us improve. Then we combine those user opinions with input from our colleagues. It’s a great feeling to know so many people were part of bringing a project to 100 percent. Candor is critical to fostering that collective achievement. Lucas (left) and Tim (right). Tell us about what candor means at Algolia. Tim: In part, it means all of us feel comfortable giving and receiving honest feedback. Candor requires honesty, and honesty requires trust. Importantly, we like to pair candor with care, another core value. When a colleague comes to me with feedback, I know they’re offering it because they care. They have my best interest and the best interest of the company at heart. Lucas: Exactly. For example, it’s standard practice to prepare for any talks we give to an outside audience by rehearsing in front of three or four colleagues. And it’s always a positive atmosphere — everyone in the room is there to help you improve. If someone tells me I’m moving my hands too much, or using terms the audience will need me to define, that doesn’t feel like an attack. It’s just expected that we’ll give each other the concrete feedback we need to improve. Are there guidelines that determine when and how you give feedback? Tim: No hard and fast rules, but I think we’ve all developed best practices that help things go smoothly. For example, if there’s a chance someone will struggle with what I’m planning to say, I’ll make sure to speak to them privately. I might also start by reminding them I’m speaking in the context of our candid philosophy. And I make it clear I’m expressing my opinions, and I’m open to different points of view. Lucas: Ideally, we’ll give feedback in person, but since that’s not always possible, we try to video chat when we can. We’re also very deliberate in our written communication. Over Slack, for example, we use a lot of emojis. It might sound silly, but if I message someone, “The design here could be improved,” just adding a smiley face can completely change the tone. We even created custom emojis for each of our company values. When someone demonstrates care, for instance, we acknowledge that with the care emoji. Small things like that go a long way. 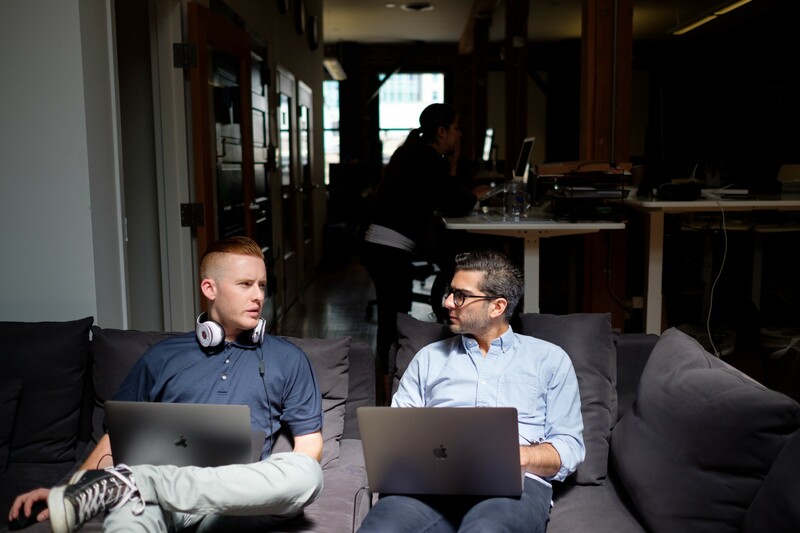 Jordan Lumsden (left) and Sepehr Fakour (right) practicing candor at Algolia’s SF office. Tell us about a time candor led to positive change, in your work or someone else’s. Tim: As a developer advocate, I often speak at outside events. I used to introduce myself with my online nickname and give a link to my personal website, because a lot of people knew me from that. After one presentation, my manager pointed out it might seem like I was promoting myself rather than the company. 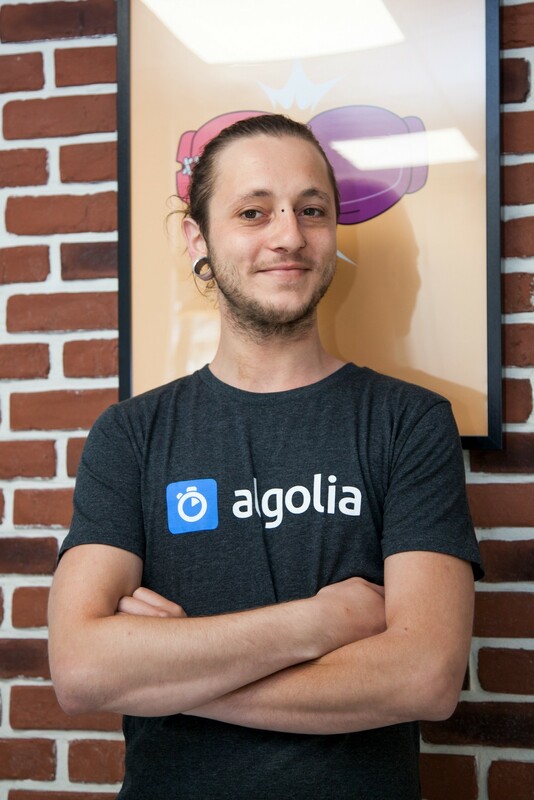 I love Algolia and my job here, and that had never crossed my mind! So I was grateful for his candor — he pointed out something I wouldn’t have realized on my own. I’ve used my real name ever since, and always make sure my audience knows where to get more information about Algolia. Lucas: Getting input on a project that’s still in progress is an adjustment for a lot of us. We recently hired a designer who wasn’t used to sharing her work before she was completely happy with it. That’s understandable — but it also meant she would lose the benefit of other people’s ideas. So I approached her about it. We talked about the value of feedback, and I convinced her that at Algolia, asking for input and help is welcome and expected. We’ve since started reviewing her code together, and she’s now much more interactive with the team. Learning how to accept negative feedback is not always easy. It’s totally natural to take it personally when something you’ve worked hard on is criticized. I get attached to my code! But that’s why it’s important that candor is a company-wide value — I know I’m not being singled out. Ultimately, code is a communal project. 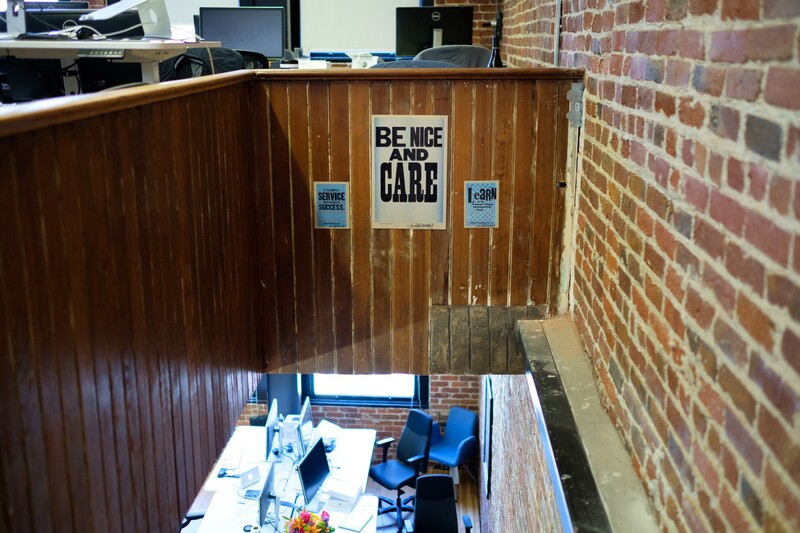 In the stairwell between floors at Algolia’s SF offices, hand-printed posters (signed by the artist) remind the team what matters. Does the candid environment create challenges? Tim: Since our team is split between France and the U.S., cultural differences can add a level of complication. To give feedback effectively, we have to recognize how the meaning of candor changes depending on cultural nuances. I still make mistakes on that front, and sometimes I have to take a step back to make sure I understand a comment from an American colleague. But practice makes perfect, and we’re practicing every day. Lucas: As an example, I remember once, a colleague was praising my work to our CEO and referred to me as a “kid.” At first it rubbed me the wrong way — in French, that would be condescending. When I asked my American colleagues, they said nothing negative was implied, but they also recognized it wasn’t the ideal way to describe a team member. That presented an opportunity to be candid with my colleague about referring to people differently in the future. Sometimes it just takes a little extra effort to make sure I understand, or to be careful with my own words. 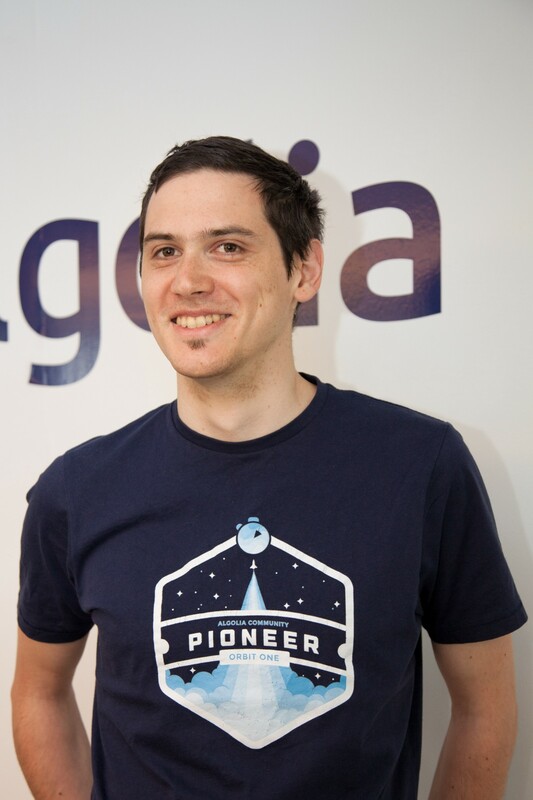 How does candor make working at Algolia unique? Tim: Some of my friends at other companies say they can be candid at work, but when I talk to them about it, I realize it’s very different from my experience here. I’ve heard from people who worry that approaching their boss with an issue would be a risk to their job—at Algolia, that has never even crossed my mind. Knowing that I can help even my CEO grow is a great feeling. Lucas: Any company can list their values on a wall. In fact, we do! But what really matters is what you do with those values — how you apply them to your work, day in and day out. We’re able to be candid with each other, whether we’re sitting side-by-side or on another continent, because we truly have a sense of shared values. That collective experience is essential. It’s the reason candor at Algolia works so well. 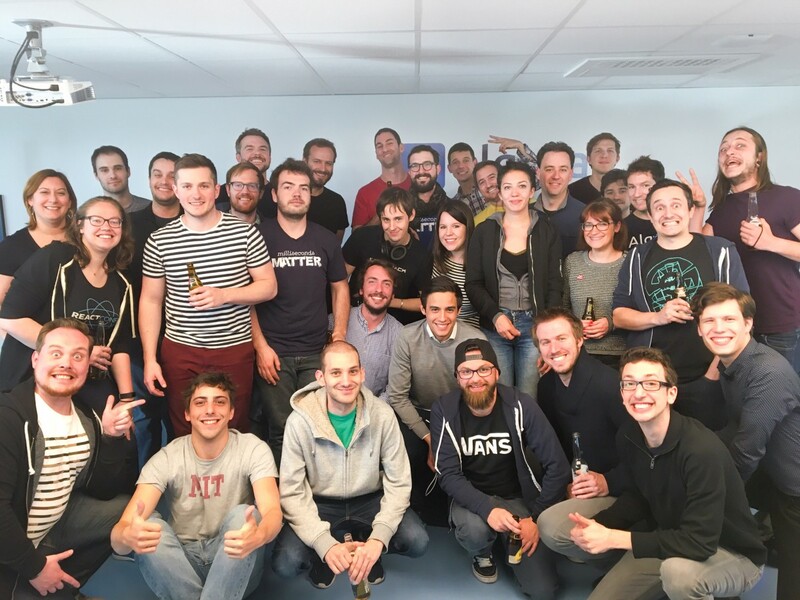 Algolia team members in Paris (left) and San Francisco (right). We create content that helps job seekers make better decisions about where to work. Need help hiring? Say hi at jobportraits.com/#hi-there. 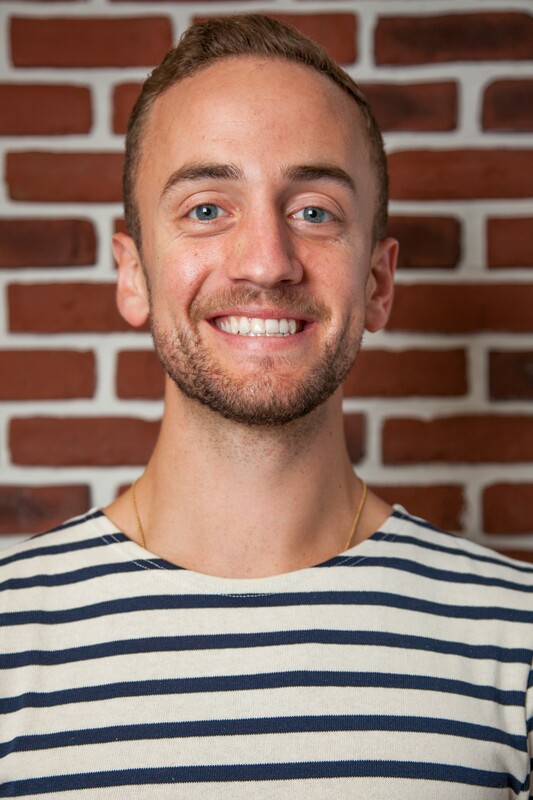 Job Portraits is a creative studio that helps high-growth startups hire at scale. We are former journalists, founders, developers, and, yes, job seekers, working to improve the hiring experience from both sides of the table.